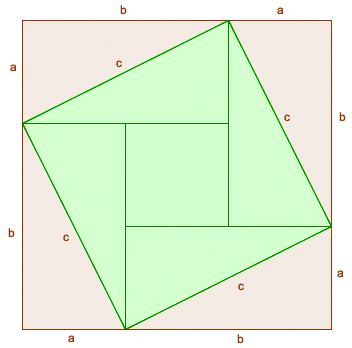 We know that the area of the green square is . Our goal is to find this area in terms of the other sides and . 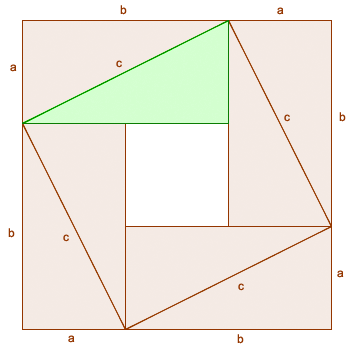 The green square consistes of four triangles and a smaller square. Each triangle, as shown in the following diagram can be calculated as . 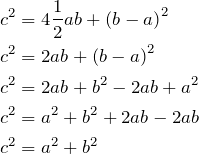 We derived the Pythagorean theorem. 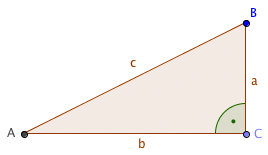 We can use it to calculate the length of a side of the triangle when two other sides are known.